The ayurveda and homeo doctors under the Ayush wing, who were terminated from service on March 31, will be reinstated soon after the elections. 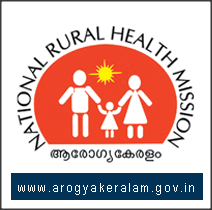 However, the 200-odd therapists who were appointed under the same scheme of National Rural Health Mission (NRHM) will lose job. "As many as 51 ayurveda and 22 homeo doctors who were terminated on March 31 will be reinstated,'' said Dr P Haridas, Ayush state programme manager. Meanwhile, the Ayush wing launched under the NRHM is facing closure. "The Centre has stopped funding as the programme was for five years and has completed its tenure. The centre has asked us to maintain the staff if needed but will have to pay salaries from the funds of local bodies or hospital management societies,'' said Haridas. The state programme manager has decided to write to the local bodies and hospital management societies to retain the 200-odd therapists and pay salaries from their funds. "We will see how they will respond to our request or else we will not be able to help these therapists,'' said Haridas. The salaries for these therapists are due for the last one year and the state authorities have written to the Centre to release their arrears without any delay. "The election commission has agreed to execute the order for reinstating the doctors after April 10,'' said Haridas.